Signpost is run as a traditional youth club complete with tuck shop. 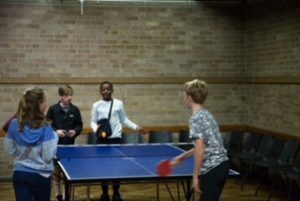 We enjoy a wide range of games and activities, with plenty of opportunities to get to know new people, share points of view and explore all kinds of topics and electronic and more traditional games. We meet in the Parish hall next door to Christ Church on the 2nd & 4th Friday of each month (except Christmas, Easter & summer school holidays) from 8 to 9.30 pm.